Here’s some exciting news that will get you out of this winter funk! Shop.ca wants to help you save when you ship to Penguin Pick-Up. Shop online at any retailer and have your purchase shipped to one of our three convenient locations. 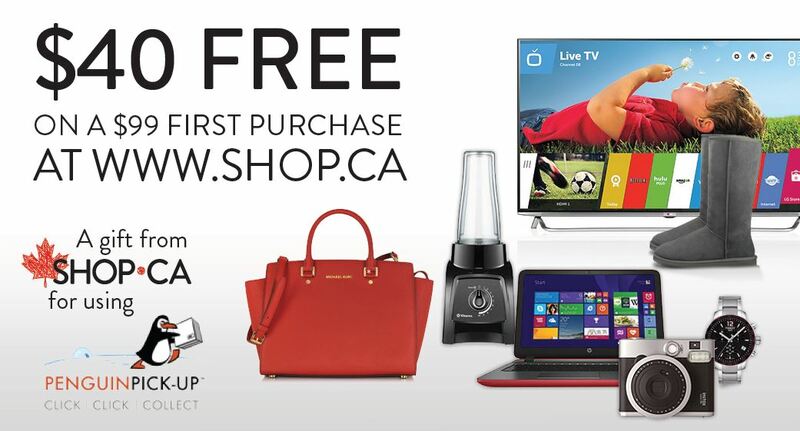 When you pick-up, you will get a coupon for $40 FREE with a $99 FIRST purchase at Shop.ca. This offer ends on April 30, 2015 so get shopping today!